The property was stunning overlooking Deep Cove Bay. Very well maintained and comfortable living space. I enjoy cooking and found most of the needed items for meal preparation. Not being familiar with the area and distance to the various points of interest before booking; most destinations were over an hour of driving which was somewhat of a challenge especially in the evening hours. Truly a wonderful vacation and would definitely consider returning in the future. Just completed another absolutely wonderful stay at Coveside with my family! We had stayed there back in 2010 and all of us had been yearning to go back. Sometimes a second bite can be disappointing but definitely not in this case. In fact, I can say I am now well and truly hooked. Wish I could spend a whole year there! The property is in a quiet and serene area and has a gorgeous view of the Cove. When you sit under the pagoda, you actually feel like you're in the middle of a picture postcard. It is also strategically located for everything you can ever want in a vacation. The beautiful seaside town of Chester is 15 minutes away (with a grocery and amazing restaurants etc., Mahone Bay and historic Lunenburg less than an hour, you're on the Lighthouse Route - and in the unlikely event that you're feeling for a day trip (trust me you won't want to leave this property), pack the cooler and head to the Annapolis Valley and the Bay of Fundy! If you're contemplating booking this place, go ahead and do it, you won't regret! 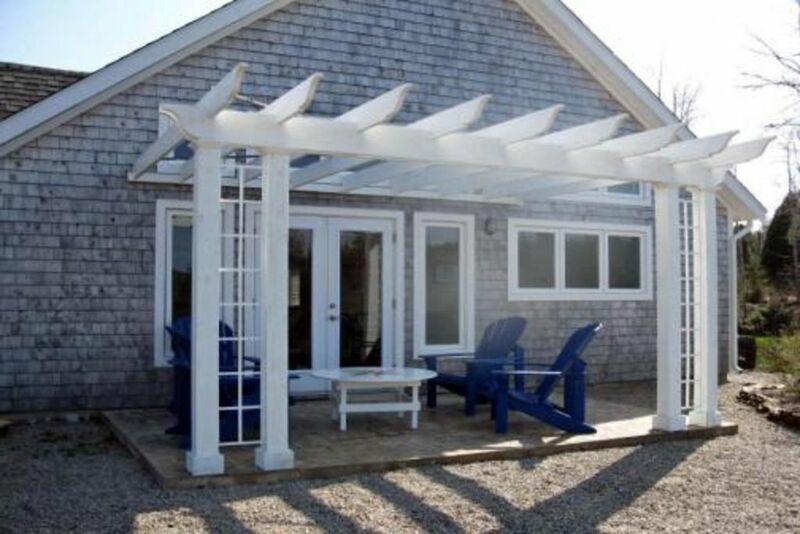 Coveside; The perfect Nova Scotia South Shore oceanview getaway. The house sits among a dozen small homes overlooking a tranquil, tree-lined cove. Spacious great room opens to patio. Kitchen well-appointed for cooking-in. Protected beaches 5 and 10 min away. Grocery stores 20 min away, local attractions Mahone Bay and Lunenburg 30 min, Halifax under an hour. Small yard all gravel, but great walks right out the door. Very nice location, beautiful area, plenty of space but a little too close to neighbors. As noted above, liked the area and had a react time in Nova Scoiia. Really liked our cottage. The only reason I didn’t give it 4 stars is the beds were not very comfortable and the bed linens could use an update. Beautiful view of Deep Cove and short drive to beautiful Chester. Chester has a great golf course with a really nice restaurant. (We ate there 3 times!). Also a short drive to Bayswater Beach which is a lovely, sandy beach! It is only about 45 minutes to either Lunenburg (with a stop in Mahone Bay) or Halifax. This is a beautiful property. Nice and clean. It is in a great central location to get around easily. It was plenty of room for our family if 5. Modern central location to explore all that the South Shore of Nova Scotia has to offer.